New Castle is one of the fast growing remote cities in New South Wales leveraging many professionals and entrepreneurs to glitter their luck there. Out of many, Muhammad Akhlaq Ramay is one of the leading names among Pakistani Community there. He runs a large Caravan Park, providing quality accommodation to the locals and visitors for the last few years. He has transformed one of the houses into a mosque providing opportunity to the residents and visitors to pray five times a day. He himself led the Friday and Eid prayers. 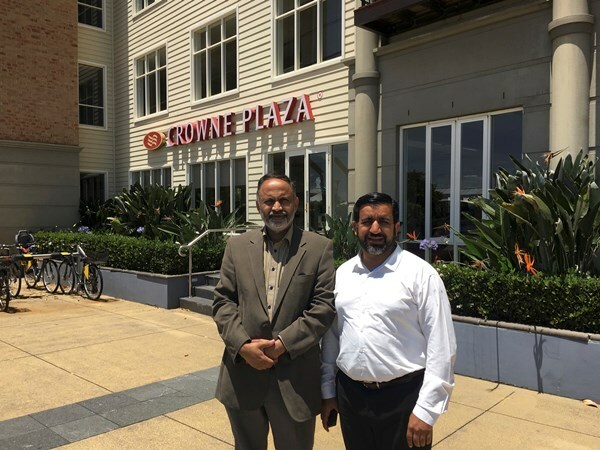 Dr. Khurram Kayani's (Advisor - President Pakistan Association of Australia) request his over two-decades old friend M. Akhlaq Ramay organised a scrumptious lunch at Crown Hotel, New Castle in honour or Consul General Abdul Majid Yousfani and Qalb e Abbas Rana ( President Pakistan Association of Australia). Also attended by Pakistani representatives of different fields to give feedback straight to CG. The Consul General took benefit of this great opportunity and discussed possibilities to make Sydney Consulate further human-friendly. 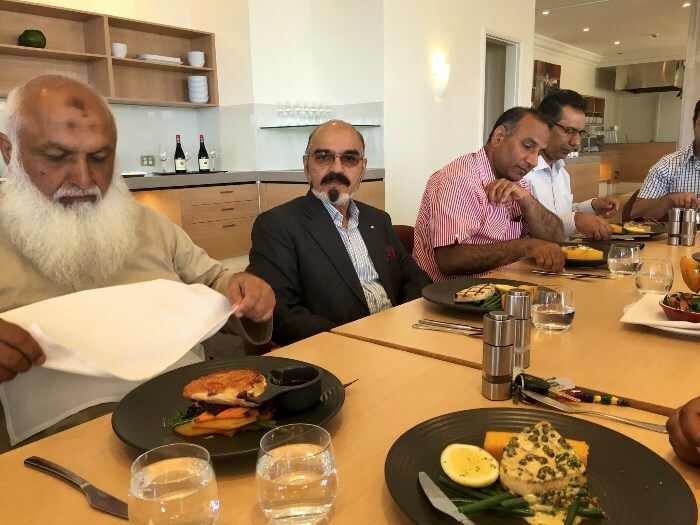 Dr. Mazhar Hamidi ( Leading Pakistani Medical doctor for over 40 years in New Castle), Riaz Qadeer ( Electrical Engineer), Hamza Muhammad ( Qantas Air Operations), Brig. 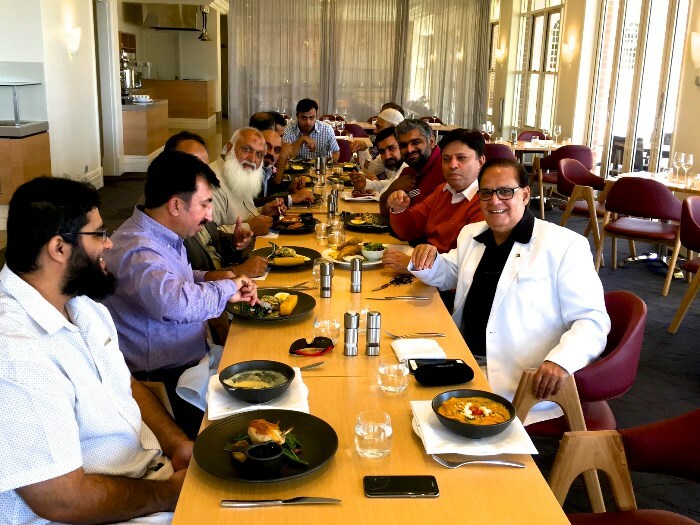 Zahoor Ahmad, former Defence Advisor Pakistan High Commission Canberra and Entrepreneur), Muhammad Ashfaq Ramay ( Entrepreneur), Naeem Khan ( Business Professional & Entrepreneur), Zahid Hussain (Caltex Heathrae), Ahmad Ramay ( Business Establishments), Asim Ramay ( Bell Heaven Caravan) and other were among those who attended the lunch. 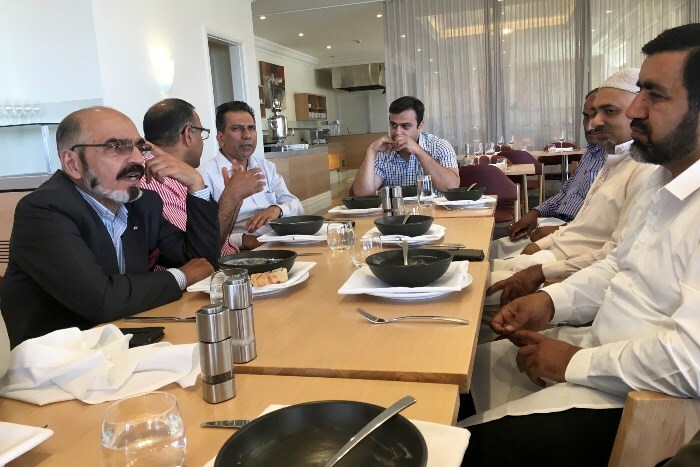 Muhammad Akhlaq Ramay thanked everyone to attend the lunch on a very short notice. 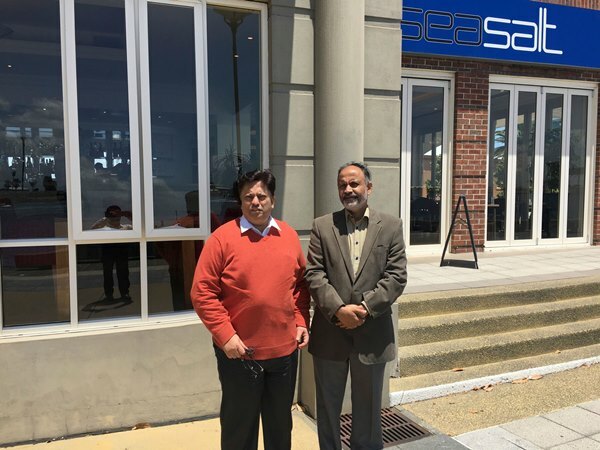 He requested everyone to pray for speedy recovery of his long-time friend Zafar Hussain of SadaeWatan, who could not attend the lunch due to health issues.